Antique Maps of South East Asia or Southeastern Asia. Our collection antique maps of South East Asia includes antique maps of Vietnam, Myanmar, Malaysia and the East Indies. Our antique maps of the East Indies include maps of Indonesia, Singapore, Philippines and other regions of the Malay Archipelago. A large portion of our antique maps of South East Asia can be found on this website. Please visit www.bartelegallery.com for more antique maps of South East Asia. Antique kaarten van Zuid-Oost Azië. Onze collectie antieke kaarten van Zuid-Oost Azië bestaat uit kaarten van Vietnam, Myanmar, Maleisië en Oost-Indië. Onze antieke kaarten van Oost-Indië bestaat uit antieke kaarten van Indonesië, Singapore, de Filipijnen en andere gebieden van de Indische Archipel. Een groot deel van onze antieke kaarten van Zuid-Oost Azië kunt u vinden op deze website. Bezoek www.bartelegallery.com voor meer antieke kaarten van Zuid-Oost Azië. Antique Maps | South East Asia There are 175 products. 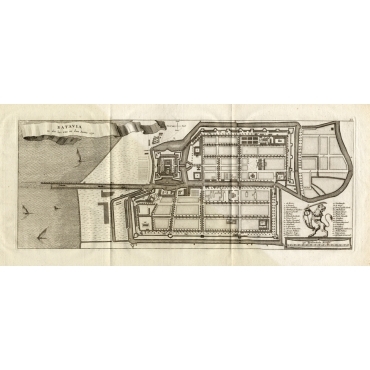 Antique Map: 'Kaart van Bangkala en Laikang.' 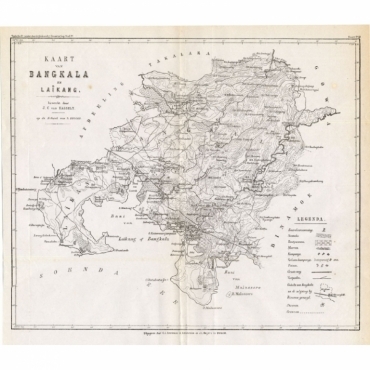 (Map of Bangkala and Laikang.) 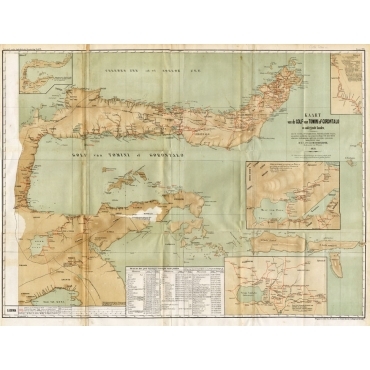 This scarce map shows Bangkala and Laikang on the Indonesian island of Sulawesi/Celebes. Antique Map 'Kaart van het Toba-Meer en het landschap Silindoeng.' (Map of Lake Toba and Silindoeng.) 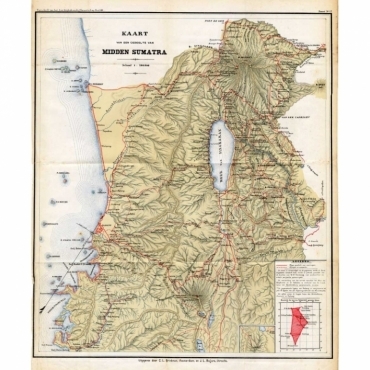 This scarce map shows Lake Toba and Silindoeng on the Indonesian island of Sumatra. 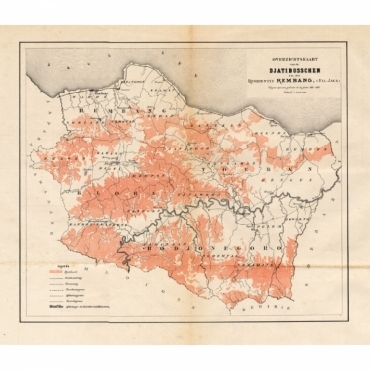 Antique Map 'Kaart van de voornaamste wegen in het zuidelijke deel der Residentie Palembang.' (Map of the most important roads in the southern part of the district of Palembang.) 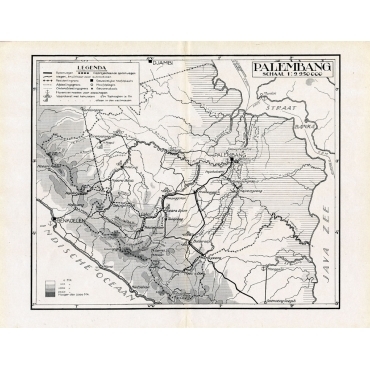 This scarce map shows the main roads in Palembang on the Indonesian island of Sumatra. Antique Map 'Hoofddriehoeken - Java en madoera.' (Main triangles measured by the Geographical Service in the Dutch-Indies on Java and Madoera.) 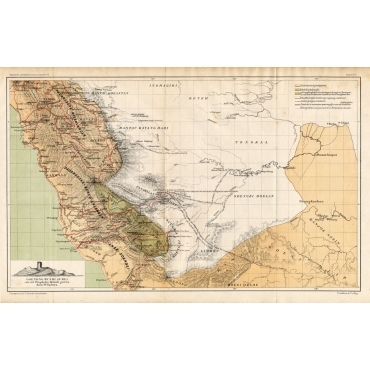 This scarce map shows the Indonesian island of Java. With scale. Antique Map 'Indonesia.' (Indonesia.) 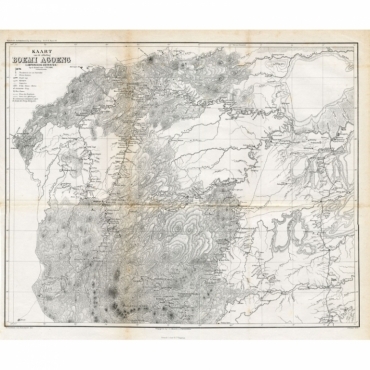 This scarce map shows a part of the Indonesian island of Sumatra. Antique Map 'Kaart der Teloeti Baai op Ceram.' (Map of Taluti Bay on Ceram.) 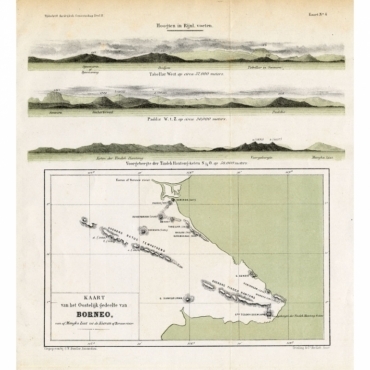 This scarce map shows the Taluti Bay on the Moluccan island of Ceram. Antique Map 'Overzichtskaart van de Djatibosschen in de Residentie Rembang, Java.' (Map of the Djati Forests in the Rembang area, Java.) This scarce map shows the Djati Forests on the indonesian island of Java. Antique Map 'Schets van Bolaang-Mongondow.' (Bolaang Mongondow.) 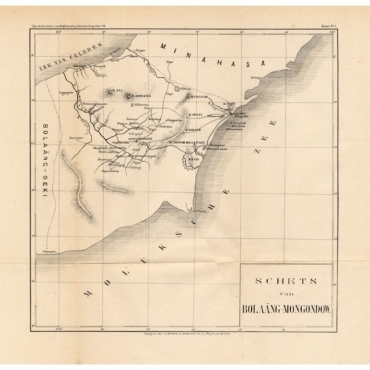 This map shows the Bolaang Mongondow ditrict on the Indonesian island of Sulawesi. 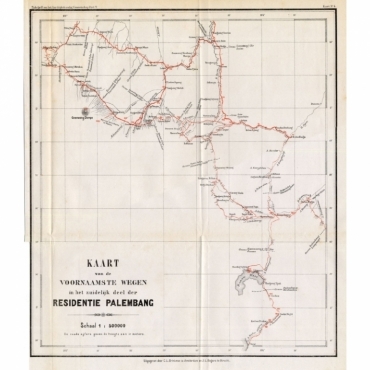 Antique Map: 'Palembang.' (Palembang.) This map shows the Palembang area on the Indonesian island of Sumatra. With legend. Antique Map 'Kaart van een gedeelte van Midden Sumatra.' (Map of a part of Mid-Sumatra.) This map shows a part of the Indonesian island of Sumatra. With legend. 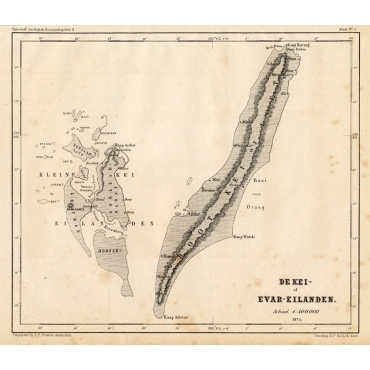 Antique Map 'De Kei- of Evar eilanden.' (Kai Islands.) This map shows the Indonesian Kai Islands. 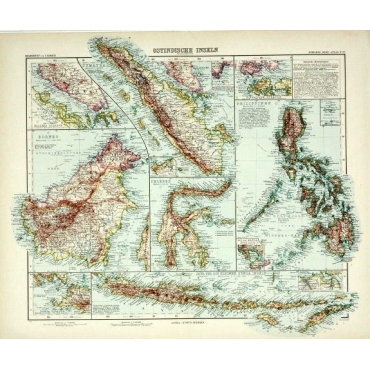 Antique Map : 'Celebes.' (Sulawesi .) This map shows the Indonesian island of Sulawesi, one of the Sunda islands. With inset maps of South-west Sulawesi and Semenanjung Minahassa. Legend and scale. Antique Map 'Kaart van het Oostelijk gedeelte van Borneo.' (Map of the eastern part of Borneo.) This map shows the eastern part of Borneo, Indonesia. With views of mountain ranges on Borneo. Antique Map Kaart van de Golf van Tomini of Gorontalo.' 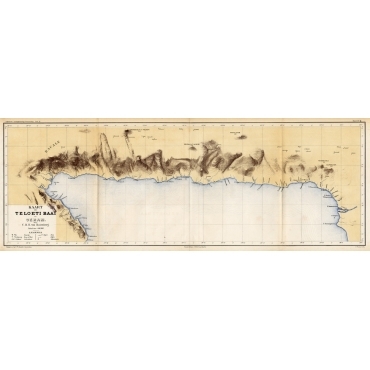 (Map of the Gulf of Tomini or Gorontalo.) This map shows the Gulf of Tomini near the Island of Sulawesi, Indonesia. With several inset maps. With legend and scale. 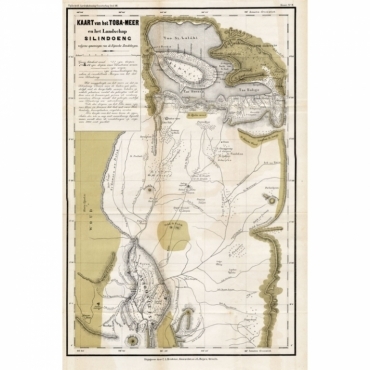 Antique Map 'Peta deri Poeloe Poeloe Ambon ...' (The Island of Ambon.) 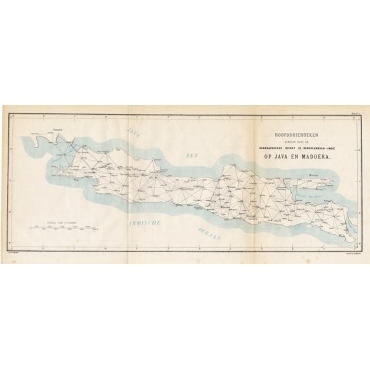 This very scarce map shows the Maluku Islands of Ambon, Buru, Banda. South Moluccas. 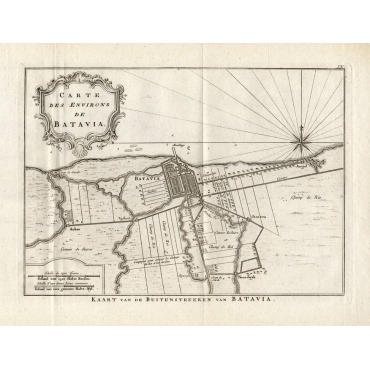 Antique Map : 'Carte von den Gegenden um Batavia ...' (Map of Batavia and surroundings.) 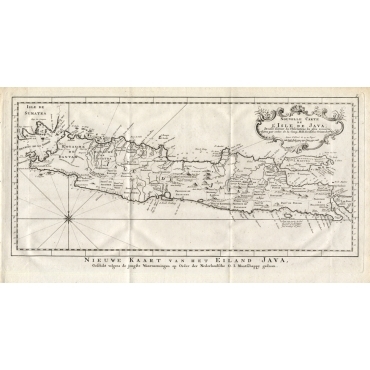 This print shows a map and a view of Batavia, Indonesia. With compass rose, cartouche and legend. Ships. 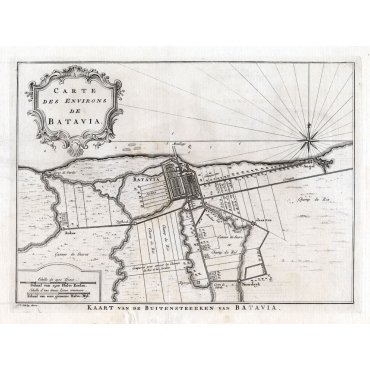 Antique Map : 'Batavia zo als het was in den Jaare 1731.' (Batavia as it was in the year 1731.) Map of the city of Batavia (Jakarta) in Indonesia. With legend and scale. Antique Map 'Carte des environs de Batavia.' 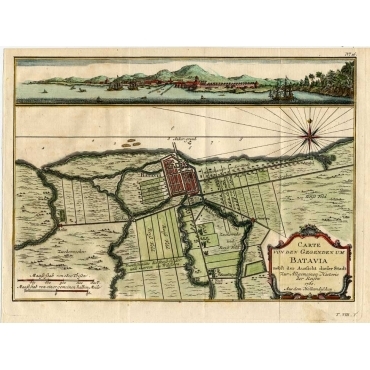 (Map of Batavia and its surroundings.) Map of the Batavia area (Jakarta) in Indonesia. With cartouche, scale and compass rose. Antique Map 'Nouvelle Carte de l' Isle de Java.' (New Map of Java.) This very detailed map shows the Indonesian Island of Java. With cartouche, scale and compass rose. 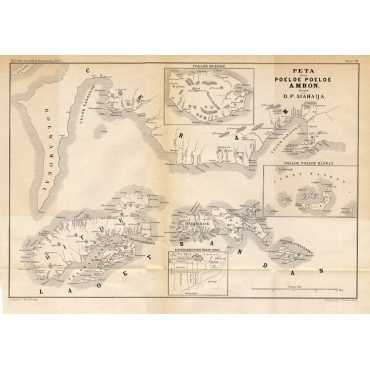 Antique Map 'Carte des Isles de la Sonde et des isles Moluques'. (Map of the Islands of Indonesia, The Moluccas, Philipines.) Detailed map of southeast Asia, showing the Malay Peninsula, Sumatra, Java and the island of Borneo. Inset with the islands of the Moluccas. With cartouche and scale.